“That’s my perception of what dance should be—a popular form, wrenched from the hands of the elite” (Ailey, 101). Alvin Ailey was an American dancer and choreographer whose work has been and continues to be performed around the world. Ballets such as Revelations, Blues Suite, and Cry are among the most famous. His legacy, the Alvin Ailey American Dance Theatre (AAADT) can be credited with training and employing dancers whose body types vary from the standard imposed by the traditional ballet world. His dance theatre was revolutionary in its inception and critically acclaimed for its repertoire. Born in 1931, in Rogers, Texas, Alvin began his life during a time of economic crisis and racial segregation. He was born during the Great Depression and raised by a single mother. His father, Alvin Ailey Sr., was not present during his youth. As a result, his mother worked odd jobs, but few were steady. With work being difficult to find for everyone, Ailey’s mother found the difficulty intensified by being black and a woman. Fortunately, she had a strong family network that provided support in the form of housing and childcare. As a child, Alvin discovered a talent for foreign languages that he honed throughout adolescence and early adulthood. One of Alvin’s most startling memories of his early years was an attack on his mother, Mrs. Lula Cooper. He remembers his mother returning home battered and in tears. She didn’t know that he saw her on that day until he was well into adulthood. As a child, he heard a rumor that his mother had been attacked and raped by four white men in the town. None was ever held accountable for this attack. Ailey later attributed his own struggles with self-esteem to the acts of racial violence so prevalent in his formative years in the South. When he was a teenager, Alvin’s mother moved to Los Angeles in search of higher wage employment. This was where Ailey became acquainted with dance and the Lester Horton Dance Company. There were a few individuals that influenced Ailey’s decision to follow the path of an artist. Carmen de Lavallade was a schoolmate of Alvin and the two met after Carmen performed a dance solo. Pushing against the stigma that male dancers were gay, Ailey began attending classes with Horton after being persuaded by Carmen. He also spent a significant amount of time in the local theatres watching the vaudeville shows and big bands that performed in them. Through Lester’s school and the paid work that Lester facilitated, Alvin became acquainted with many of the great talents in dance, theatre, and music, such as Harry Belafonte, Katherine Dunham, and Jimmy Truitte. Still not taking dance seriously, Alvin went to college and planned to become a language teacher. While attending school, Alvin worked at Horton’s Dance School and soon acknowledged that dance was a part of him that he could no longer deny. He attended classes with Horton full time and learned not only dance but also set design, costuming, cooking and many other skills. Horton was a pioneer because he selected dancers based on talent. He didn’t exclude talented dancers because they were black, a common practice among dance companies. Many black dancers that later achieved success passed through Horton’s Dance School. When Ailey eventually left California for New York City, he took the Horton technique with him and later incorporated it into his classes and the ballets that he created for the Alvin Ailey American Dance Theatre. In 1954, Alvin and Carmen came to New York to perform in Truman Capote’s House of Flowers. After performing as an actor in several Broadway and Off-Broadway plays, Alvin realized that he wasn’t passionate about acting. He felt he would be doing himself and the theatre a disservice by continuing to act. This realization was the first step towards the creation of the AAADT. By 1958, Ailey realized that he didn’t enjoy the techniques of the prominent choreographers in New York and there was little work for black dancers. He started to choreograph his own ballets. Using connections he had made with dancers, musicians, and wealthy patrons of the arts, he produced his first works with a loosely formed group of dancers, called the Lavallade-Ailey Dance Theater. Blues Suite was the first piece performed and it was highly praised by audiences and critics alike. Two years later Revelations, arguably the most popular AAADT ballet and still performed today, premiered. In 1962, the U.S. State Department commissioned the Lavallade-Ailey Dance Theater to represent the U.S. in a tour of Southeast Asia. Ailey expressed the suspicion that the American government was using the group of black dancers to present to international audiences a false notion of racial harmony in the U.S.
After the successful tour of Southeast Asia, the Lavallade-Ailey Dance Theater returned to the U.S. where they began to formalize the company that is now known as the Alvin Ailey American Dance Theater. 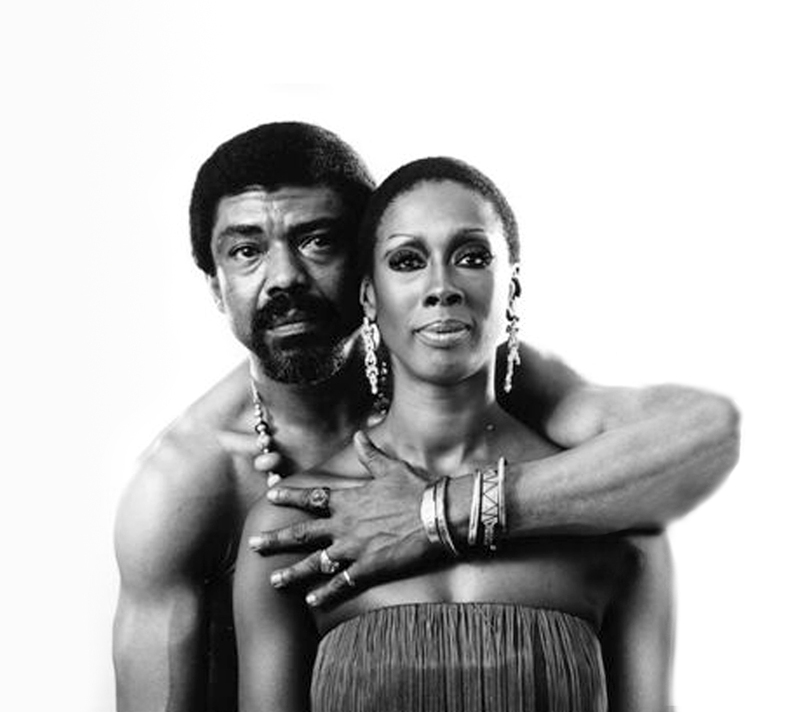 1965 brought Ailey in contact with one of the most famous AAADT dancers and later his successor as artistic director, Judith Jamison. Ailey stated in his autobiography that all of his work stems from experiences and people that he has known. Revelations was inspired by his experience with the Southern Black Church. Others, like Blues Suite, were inspired by the Dew Drop Inns that were a popular hangout for blacks in the areas of Texas where Ailey spent his youth. Another, Memoria was inspired by the death of Joyce Trisler in 1979, a close friend and colleague. It was a very dark period for Ailey, and the creation of Memoria became a healing process. Prior to the death of Joyce, whom he had known since the Horton Company days, Ailey had begun to abuse drugs. The drug use contributed to some reckless behavior and revealed the existence of a mental health disorder. This and the stress of funding a dance company, combined with his drug use, caused Ailey to have a nervous breakdown. Recovering from this breakdown and facing the resulting stigma were significant challenges that he met with the fortitude of a man who had prevailed over so many obstacles. In December 1989, Alvin Ailey died of what was then proclaimed a “rare blood disease” but we now know were complications associated with AIDS. In an effort to save his mother and brother from the shame attached to AIDS in the late 1980s, he asked his doctor to change the cause of death. Although he never publicly declared himself gay, he maintained romantic relationships with men exclusively throughout his adult life. Growing up in the racially hostile South amid the severe economic hardships of the Great Depression, he went on to live his passion publicly as a black male dancer and choreographer and receive international acclaim. These are just a few of the ways that Alvin Ailey Jr. pushed beyond the limitations that were imposed upon him and some that were self-imposed to create a space for variation in dance that included those dancers rejected by the mainstream. Although his life was cut short, his influence prevails in his body of work that continues to be performed more than 50 years later and through the many talented dancers who had the honor of working with him. Ailey, Alvin and A. Peter Bailey. 1995. Revelations: the autobiography of Alvin Ailey. Secaucus, NJ: Carol Publishing Group. About the Alvin Ailey American Dance Theater. Retrieved on September 23, 2013 from http://www.alvinailey.org/about.